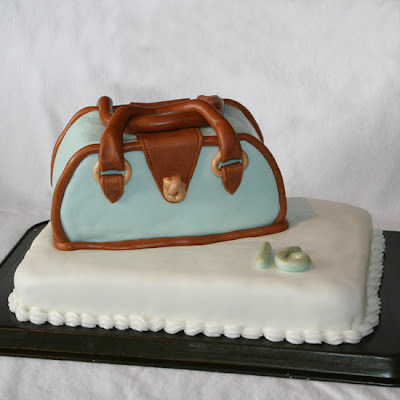 Making a Purse Cake with Make the Cut! 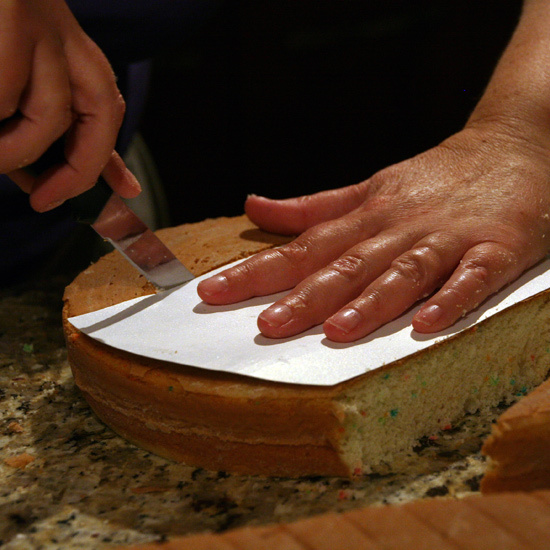 Every year, one of the highlights of my daughter's birthday is the two of us designing and making her birthday cake. Having a mom-made fancy birthday cake is a tradition my mom started when my sisters and I were little, and when I had my daughter I decided to do the same thing since I have so many good memories of it. This year we decided to try a purse cake (yes, we watch Cake Boss!) and here's how it turned out. Of course Make the Cut! and my Cricut Expression played a role, I used Make the Cut! to create the pattern pieces and cut them out on my Cricut. 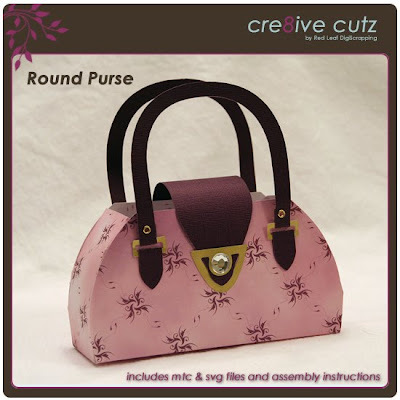 Oh, and if you think this purse bears a striking resemblance to the Round Purse available in the 99 Cent Store, it's because I used that file to cut most of my pattern pieces. Here's the finished purse, and below are some photos of the process and the whole finished cake. Cutting the fondant for the sides of the purse. 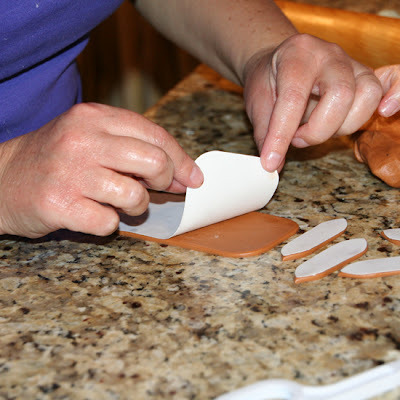 Peeling off the pattern from the "leather" trim pieces. The birthday girl painting the gold buckles for the purse straps. Adding some faux stitching to the "leather" pieces. 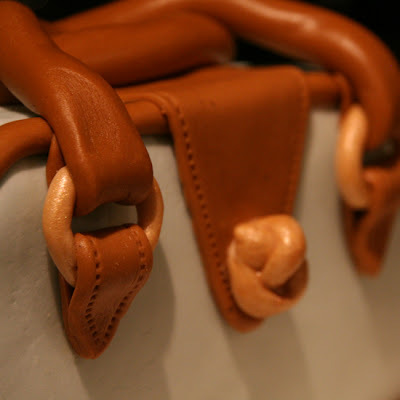 Close-up of some of the details. 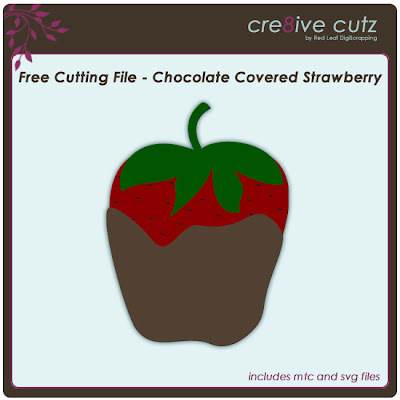 I have a new free cutting file for you, this cute little baby soother, you can use it on baby scrapbook pages, congratulations cards, baby shower invitations, so many ideas! This adorable new purse design has just been added to the 99 Cent Store. 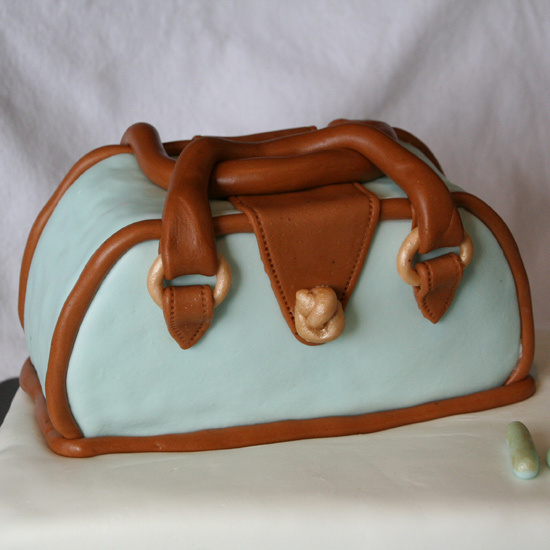 It makes a great play purse for your favorite little girl, or a perfect party favor for big and little girls. Click on the preview image to check it out in the store. MTC and SVG files as well as full assembly instructions are included. 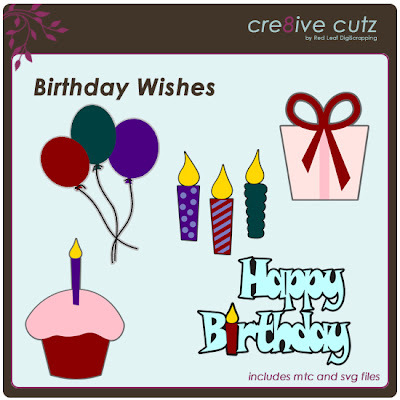 I've just added this cute set of birthday cutting files to the 99 cent store. Click the preview image to go the store for a closer look. 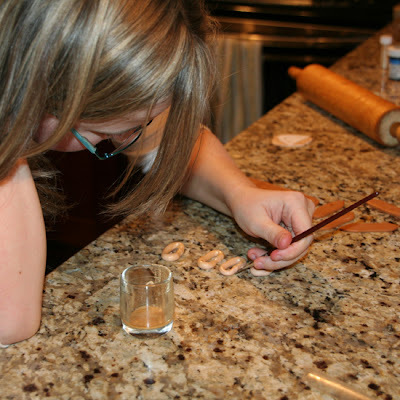 Here it is, Part 2 of my Basic Cardmaking tutorial. In this video I show you how to use the supplies from Part 1 to create a simple greeting card that can be used for all kinds of occasions. And here's the video. Enjoy! 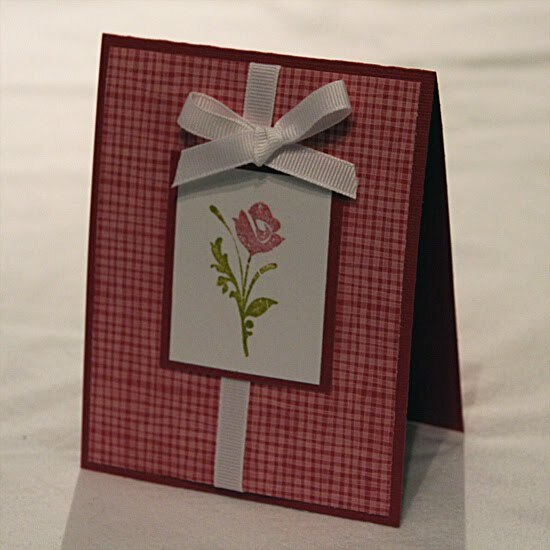 I'm a huge cardmaking addict, so alot of the projects you see on my blog are cards, and I occasionally get emails from people asking how I did a particular technique. 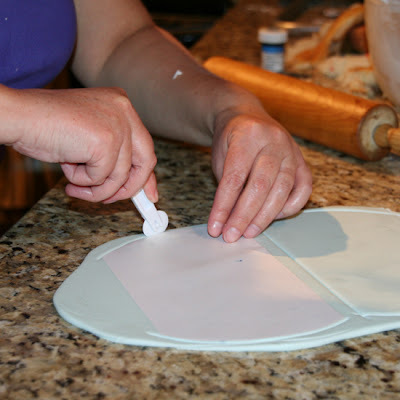 So I decided to do a few video tutorials concentrating on cardmaking, starting with the basics. If you are interested in getting into cardmaking and are wondering what you'll need to get started, this video will provide some answers. Part 1 shows you some basic supplies you'll need. 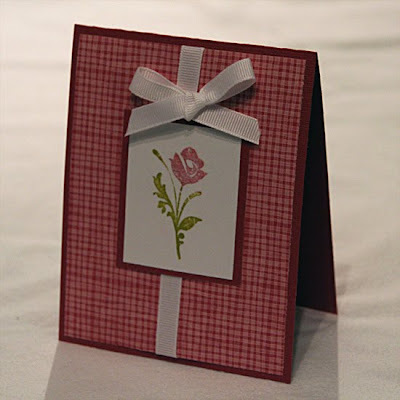 Part 2 which will be posted very soon, will walk you through creating a simple greeting card. 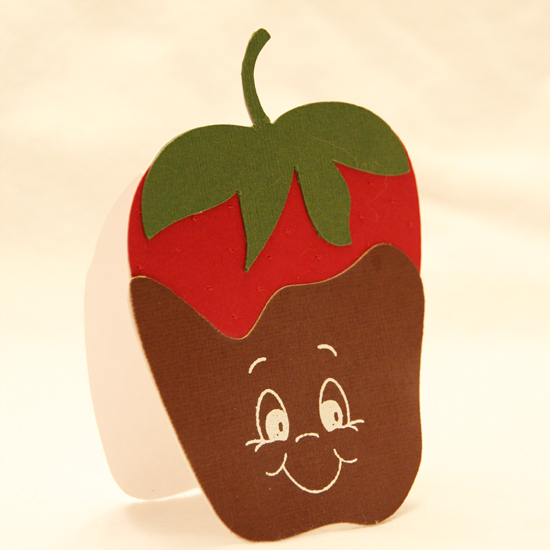 I think my Chocolate Covered Strawberry from last week's post makes a pretty cute little card, what do you think? I used a stamp from Peachy Keen Stamps' Every Day Character Face Assortment for the little face. Just click on the preview image to download the files. As always, MTC and SVG files are included in the free download. Enjoy!